Although President, Varela, and his government team have insisted that the land they would give to the Chinese embassy was not defined, the cabinet has approved the release of a lot belonging to the Amador Foundation. On February 7, the government of confirmed to the Chinese embassy in Panama the assignment of a plot in Amador, at the entrance of the Pacific side of the Canal de Panama, just where the ships begin their journey through the interoceanic route reports La Estrella. The action of Varela's cabinet, which drew a roadmap to strengthen political, commercial, and non-reimbursable cooperation projects, as well as the feasibility of a Panama-David train, was contained in the government-sponsored strategy to launch diplomatic relations with China. One of the priorities for cementing bilateral ties was to allocate land for the installation of the Asian diplomatic headquarters on the Isthmus. Its location was secret until the country found when then US ambassador in Panama John Feeley told the New Yorker that vessels entering the canal would sight the Chinese flag before the Panamanian. In September, Varela told media that until then the cabinet 'had not taken any firm decision' on where the embassy would be located and that some options were still being considered. "There is no kind of promise on the part of the Government of Panama (to China)," said Varela, adding that he would take the decision in consensus on a long-term issue. Panama’s mayor, José Isabel Blandón, now bidding to succeed Varela as president also denied that it had been a decided issue since the land would require a modification of land use. The Administrative Unit of Reverted Property designated the use of these plots for tourism and residences, but not for the construction of this type of infrastructure. On March 23, 2018, the Surveillance Committee of the Amador Foundation approved an amendment to the trust agreement with the National Bank of Panama to free parcel number 11 and replace this property with another two land lots (parcels 13 and 14) . A Cabinet resolution supported the action. 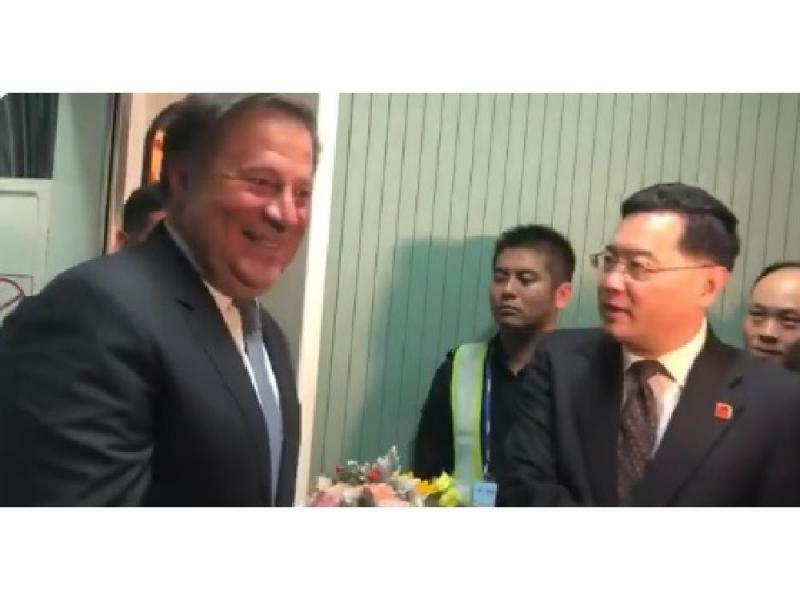 The bilateral relationship between Panama and China, which began in June 2017, has borne fruit in 23 agreements (excepting the approval of the National Assembly), more than 20 technical visits, five high-level missions, including two by President Varela, who is currently on a tour from November 5 to 9 in the city of Shanghai, along with a large delegation of businessmen, to inaugurate the Panama Pavilion at the China International Import Export Fair.